Tennessee Rottweiler Rescue View other Rottweilers for adoption. Well, hello there good lookin'! 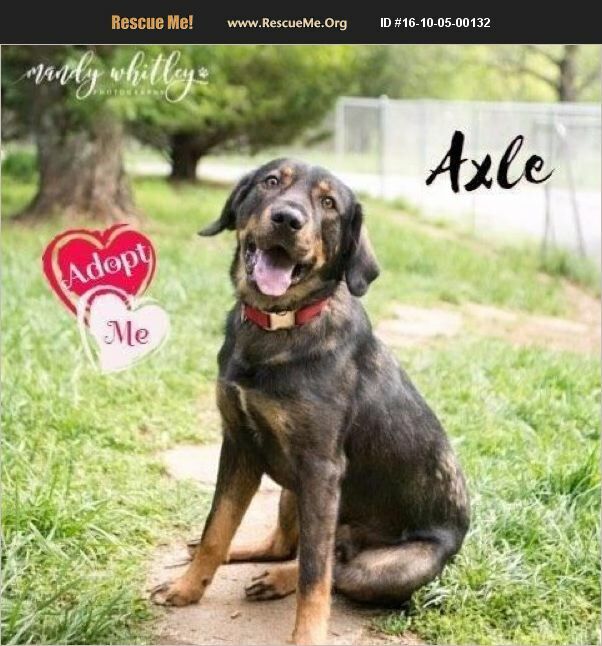 My name is Axle and I'm a gorgeous Rottweiler/Australian Shepherd mix. I'm on the larger side, as I weigh 65 pounds and I'm quite energetic. So I need a person or persons who will be strong enough to handle me and provide me with some structure. I am super smart. I know how to sit and I am crate trained. I love all people, so I can be a little boisterous at times and need a dog savvy person or family. As a bonus, a training session will be provided by RARE to ensure my success with the right family. I've done well with other dogs, but I can be dominant, so submissive females are a better match for me. I'm basically a big puppy in a big dog's body, to tell you the truth. I would love to meet you and find out if you are the right match for me! If you would like to set up a meet with me, please apply for me at RuralAnimalRescueEffort.org My adoption fee is $125.00. I am neutered, up to date on vaccines and micro-chipped. *****AN APPLICATION AND HOME VISIT/MEET & GREET ARE REQUIRED***** Please visit www.RuralAnimalRescueEffort.org for foster and adoption applications or for additional information. All of our pets are or will be spayed/neutered, up to date on all vaccines prior to adoption. Please complete the application on our website and we will call you to answer any questions you may have. Our adoption fees not only help the animal being adopted, but they also help to cover heartworm treatments and other treatable ailments that many animals, that would otherwise be euthanized, need to be made available for adoption. Thank you for choosing to adopt, foster, or aid in the rescue efforts of RARE! ***Please Note*** The breeds noted are guesses on the part of the volunteers of RARE based on the physical characteristics of the particular animal. We are not breed experts; therefore, the noted breeds may not be correct.